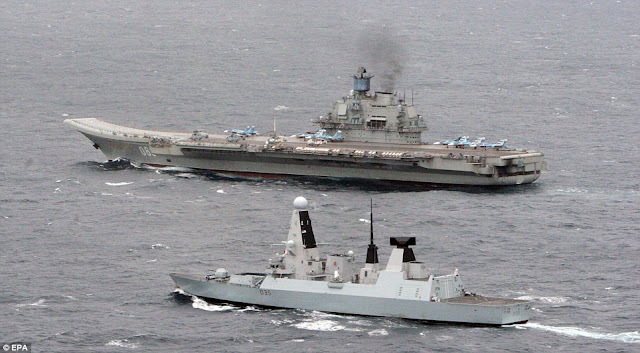 On May 8, 2014, the British Royal Navy destroyer HMS Dragon sailed from the naval base at Portsmouth on an urgent mission — to find and follow the Russian aircraft carrier Kuznetsov and six accompanying vessels steaming through the English Channel. "A Russian task group of this size has not passed by our shores in some time," said Rex Cox, Dragon's captain. True, the Russian navy had been more active in recent months. Moscow annexed Ukraine's Crimean Peninsula with its strategic ports and asserted itself with troop, ship, and warplane deployments along the frontier between Russia and the North Atlantic Treaty Organization. How this topic name represent content in it? The "Read more" link does have a purpose.